Robert Mueller’s investigation into Donald Trump was incredibly thorough. The special prosecutor interviewed over 50 people and eventually compiled a 300-page report of his findings. Attorney General William Barr then summarized the information contained in this report in a 3 1/2 page letter. Democrats are eager to get their hands on the entire Mueller report. Others, however, are happy the attorney general made it easy on them. 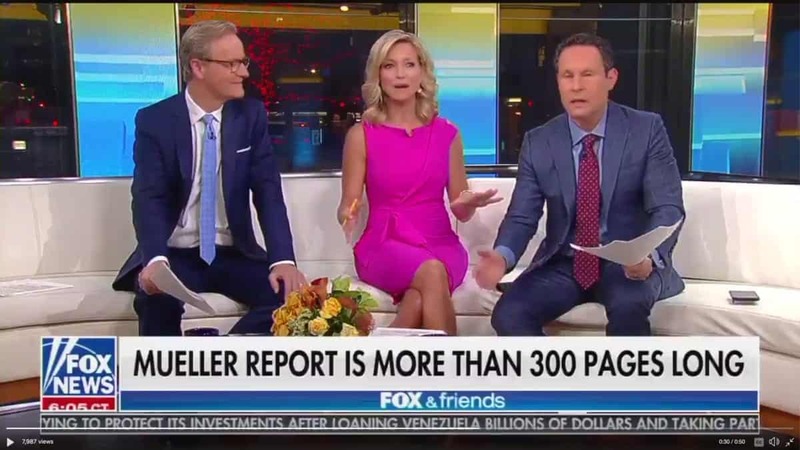 This morning, the hosts of Fox & Friends celebrated the fact that they don’t have to read all 300 pages.